Article in the Chicago Tribune showing off AT&T's innovated space located off Michigan Avenue. 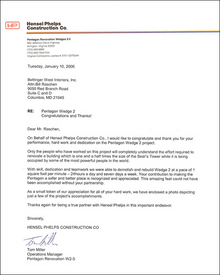 Letter of Commindation for our work on Wedge 2 at the Pentagon. 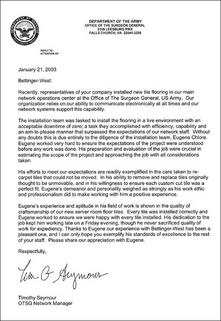 Letter from the Department of Army thanking us for our efforts on a project we worked with them. 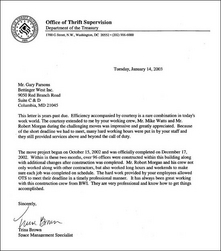 Letter of appreciation from the Department of the Treasury for our efforts on thier installation. 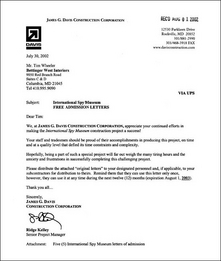 Letter of thanks from James G Davis Construction for our involvement on the International Spy Museum. 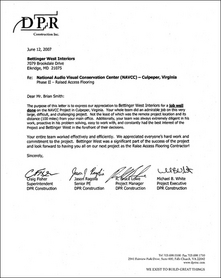 Letter from DPR Construction thanking us for a job "well done" for the National Audio Visual Center in Culpepper, Virginia. 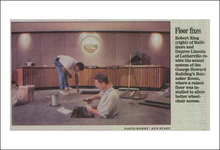 Newspaper article of our work at the George Howard Building.